for $150,000 with 2 bedrooms and 2 full baths. This 1,440 square foot home was built on a lot size of 1440 SqFt. 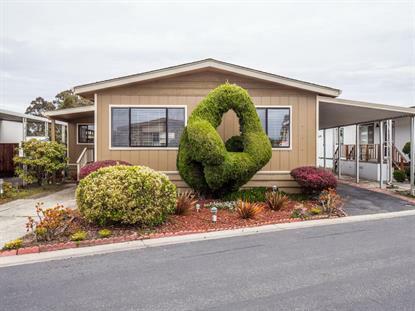 New Listing in the immaculate De Anza Community, an ocean-front senior park on the coveted Westside of Santa Cruz. For $2335 monthly space rent, the De Anza Community offers front-row access to sandy beaches, walking trails, a salt-water pool, spa, sauna, exercise room, and much more. All set in a tranquil, gated community within walking distance to Seymour Marine Center, Natural Bridges State beach, and Swift Street Courtyard. This unique unit features an open great room with an updated granite kitchen, large island with breakfast bar, and golden wood floors. This is the home where large families gather to celebrate birthdays, weddings, and life milestones. Off the entry is a true bar, where memories are shared and conversation can spill out onto the side deck. There are 2 bedrooms, 2 bathrooms, indoor laundry, and two storage sheds, one with electrical and a workbench. Set on a large space, there is covered carport parking as well as an additional uncovered parking pad for guests.